Do we really need a web maintenance contract? Considering maintaining the website yourselves? What does our agency even do for us? Website hacking can’t happen that often, can it? Well actually, it happens more often than you think. Research estimates that every single day more than 30,000 websites are infected with a type of malware (virus). It only takes 10 minutes to crack a lowercase password that is just six characters long. Add two extra letters and one number that time jumped to three years according to Stopthehacker.com. Hackers now are getting more and more ingenious in finding new ways to attack websites. Is there any other reason not to keep your maintenance contract or even vamp it up a little bit? Often these attacks hit close to home…too close. KSA&D recently took on a new client whose site had not been updated in a few years and their plugins and tools were out of date. Sure enough, one day the client tried to get on their e-commerce website and bam—a huge message from Google saying the site has been affected with malware and they could not access the site. This client lost an enormous amount of revenue in just the few hours it was down. Thankfully, KSA&D development team worked wonders to get the company’s site back up and running. Our team could not stress more how important virus tools and malware plugins are to the maintenance of your website. Especially with an e-commerce site, being down for thirty minutes is a huge loss let alone a few hours. Security patches are also very important to a regularly maintenanced site. They can keep a hacker out of your site and keep all information and client information safe from attack. 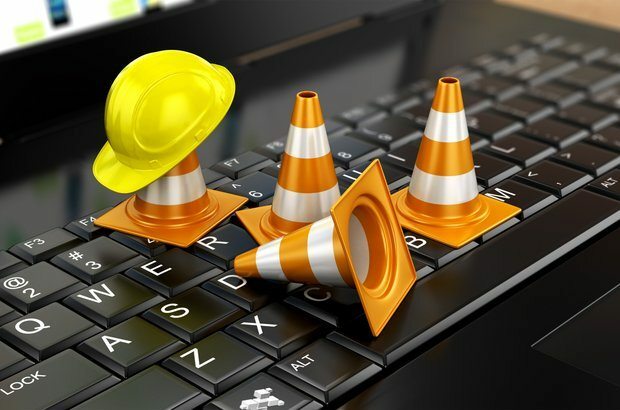 KSA&D is now creating a new site for this client, including an ongoing maintenance contract to keep the site up-to-date with all the latest and greatest security patches, while also checking its website routinely to make sure this does not happen again. This is one of the many perks of having a reliable maintenance contract with KSA&D. Contact us or start a chat with KSA&D to make sure this does not happen to your site.